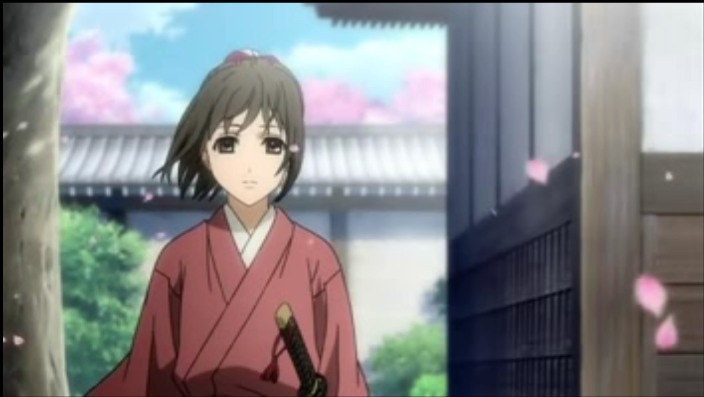 Episode 9 of Hakuouki sees the Shinsengumi breaking apart. Sannan finally gets to fight as Rasetsu. Also, Chizuru’s secret is revealed. This is an unusually fast-paced episode, indicating that the events of the final arc have begun. One of the Rasetsu soldiers breaks into Chizuru’s room at night, hungry for blood. 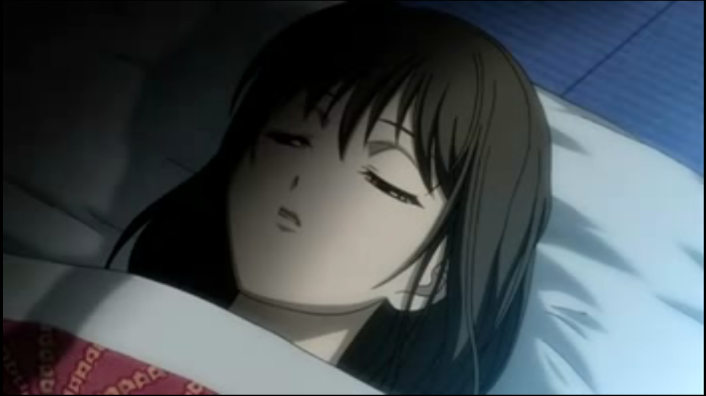 Chizuru is wounded, and, when Sannan shows up, he is driven mad by the smell of blood. 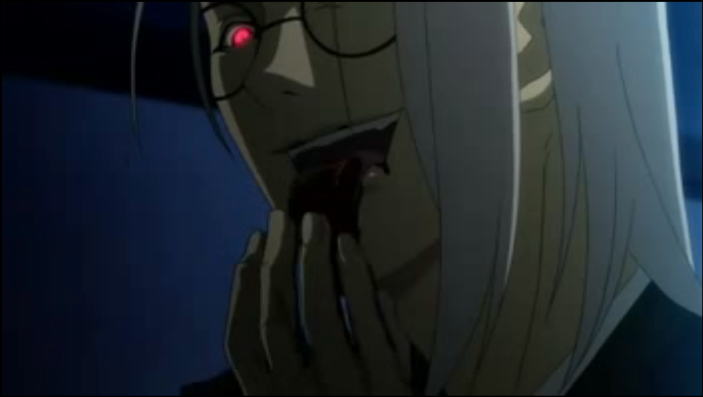 Chizuru's blood has a surprising effect on Sannan. 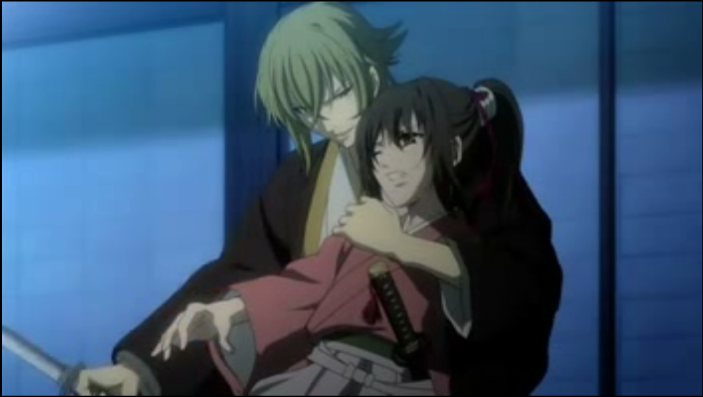 Fortunately the Shinsengumi manage to save her. Itou, however, uses the event as an excuse to make his move. 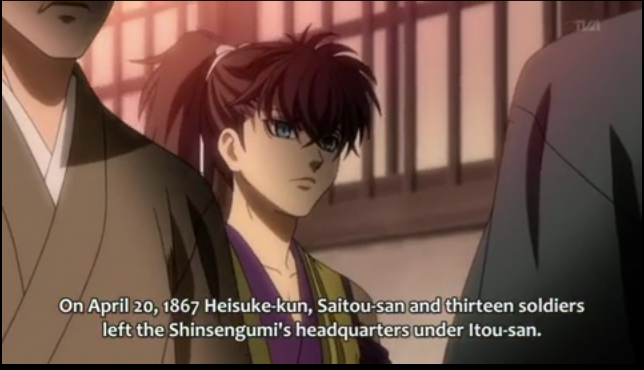 He demands release from the Shinsengumi, and says he is taking over a dozen soldiers with him, including Heisuke Toudou and Hajime Saitou. 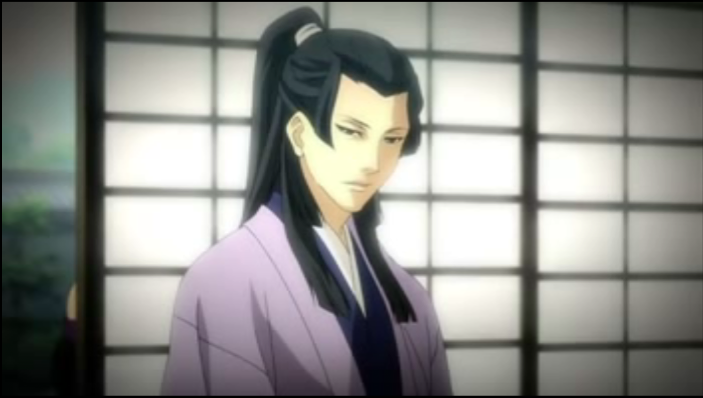 Chizuru speaks with both of them before they leave, but Saitou was particularly philosophical. 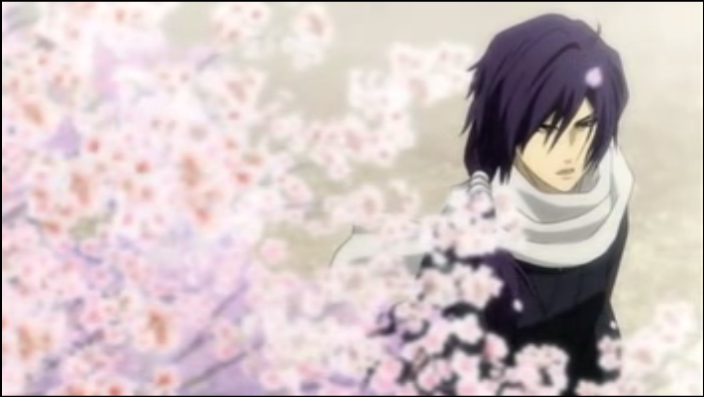 She comes upon him as he stands watching a cherry tree full of blossoms. The cherry tree blossoms in Spring, of course, so one might assume that it stands as a symbol of new life. In Japan, however, the cherry tree is traditionally regarded as most beautiful as its petals fall. It has come to be a sign of impermanence — the transience of the material world. Saitou remarks that, in time, all things change, beliefs, even the Shinsengumi, but that he believes in those things that never change. This is a very Buddhist outlook. Sen arrives with her ninja (shinobi) Kimigiku, and says that Kazama Chikage is indeed an oni, and so is she. Chikage is after Chizuru, because the Yukimura family is also an oni clan, and Chikage wants to breed pure-blood oni with her. 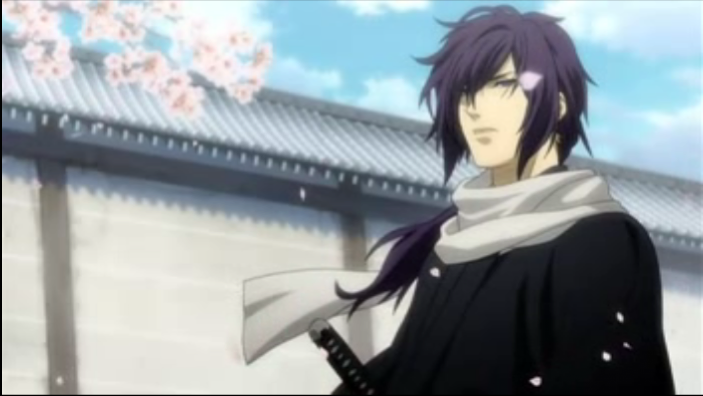 Sen offers to take Chizuru to protect her. 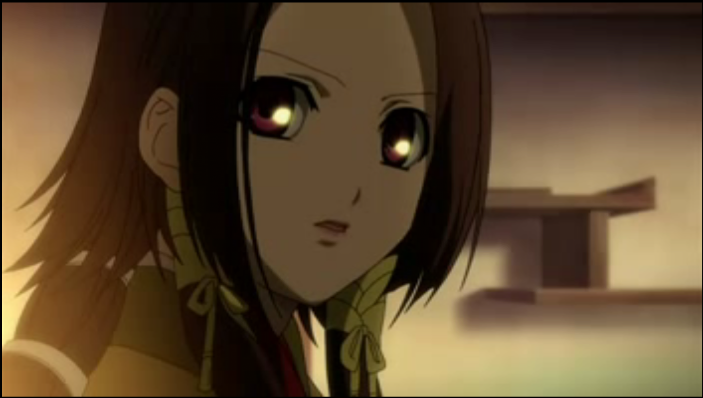 Chizuru admits that she is an oni, but wishes to stay with the Shinsengumi. Chikage attempts to take Chizuru for breeding purposes. Unfortunately, this leads to another assault on the Shinsengumi base. Even with the deployment of the Rasetsu troops, the oni are able to cut through their defenses. The only thing that stops them is Chizuru’s attempt to save Hijikata. She declares that she believes in the humans, which seems to disappoint or shame Chikage, so he withdraws. Now that Itou has broken the Shinsengumi, and the Rasetsu have shown themselves ineffective against the oni, things don’t look good for the shogun’s supporters. Besides, we still have a remaining unbound variable in Kaoru, who, in this episode, was seen momentarily, skulking in an alley. This scene had an interesting "hand-cam" effect. On a side note, I noticed that, in the scene where Itou declares his departure from the Shinsengumi, a new effect was used. I call it a “hand-cam” effect, because it seems like the sort of effect you would use to simulate a hand-held camera. The scene was not held steady, instead the perspective onto the scene wobbled, as if someone not completely steady were holding the “camera”. This is different from a pan, which is very commonly used to add dynamism to otherwise still shots. The last time I recall seeing that effect was in episode 0 of The Melancholy of Haruhi Suzumiya, where it was used in conjunction with a number of effects to give the impression of a low-grade video project. So why was it used here? My guess is that it was used to give the viewer a sense of uneasiness during the scene where we discover two important members of the Shinsengumi are joining Itou’s faction. It is interesting to see Studio Deen experimenting with visual style this late in the series.